The Spanish airline Vueling will increase its supply of seats to Malaga airport for the winter season which starts on October 30. In total, the company will sell 29,000 more seats. 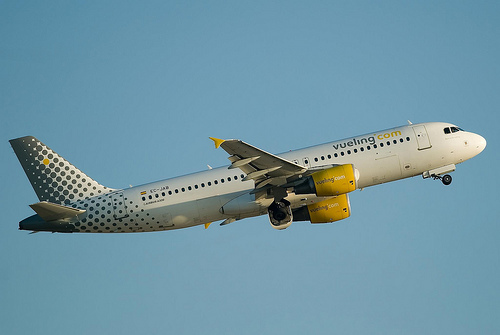 Vueling has reached an agreement with Iberia to operate code-share with Air Nostrum. The airline said in a statement yesterday that Malaga has received this summer about 20,000 passengers from the network of connections that Vueling is developing through its hub in El Prat airport in Barcelona. Malaga airport was one of the most sought destinations through the network of Vueling connections. Tickets for the winter season are now on sale. Vueling Airlines is one of the fastest growing low cost airlines in Europe. It is the second largest airline by fleet size in Spain and the third passenger in numbers surpassed only by Iberia and Ryanair.